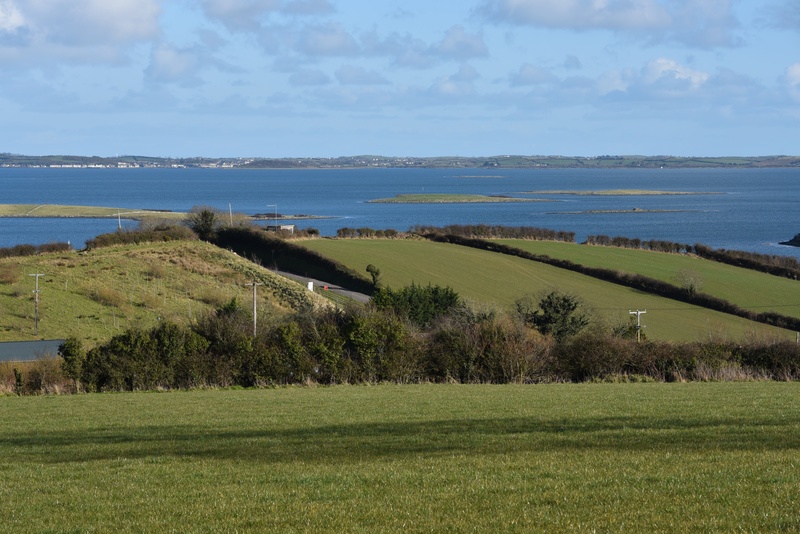 Today’s townland is Killinakin, on the edge of Strangford Lough, to the east of the village of Killinchy. 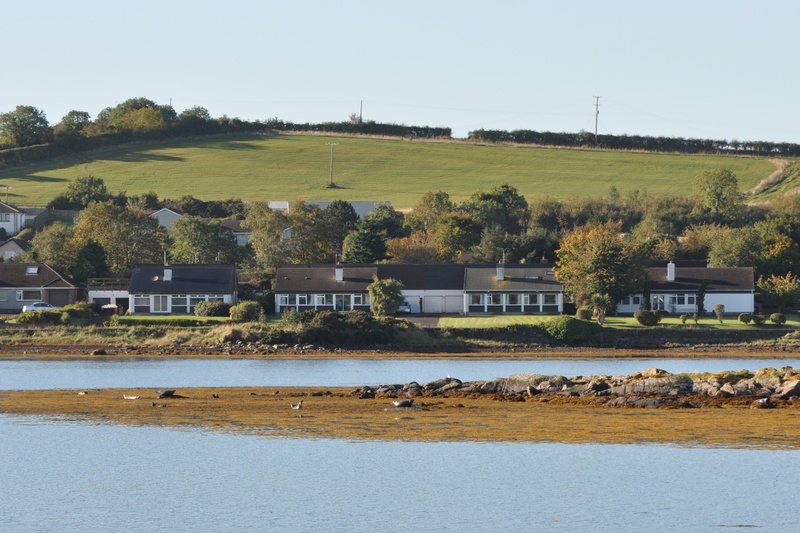 Killinakin includes the coastal village of Whiterock and Strangford Lough Yacht Club. But it doesn’t cover the whole of Whiterock Bay. 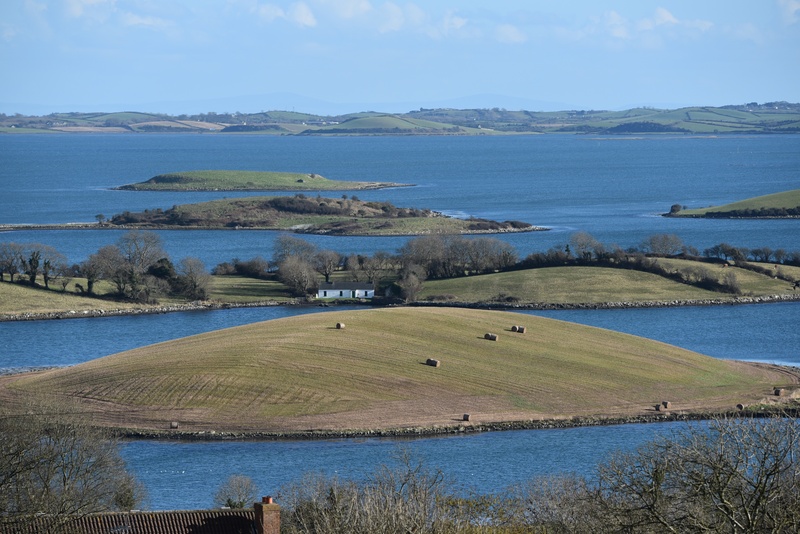 About halfway round the bay is a stream called the Ganaway Burn, which divides Killinakin from the townland of Ballydorn to the north. When I took the next photo of Whiterock Bay, I wasn’t thinking of townlands at all, but trying to capture the wildlife. Yes, the small fuzzy blobs on the seaweed are seals. 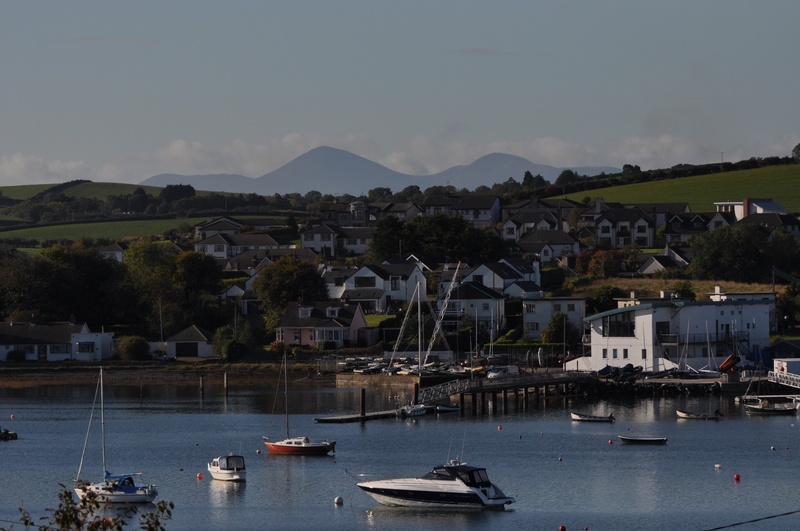 To get the best views over the lough, follow the Whiterock Road as it climbs away from the shore, and turn right into Killinakin Road. According to the PLACENAMESNI website, The name probably comes from the Irish Coill Fhlannagáin meaning “Flanagan’s wood”. 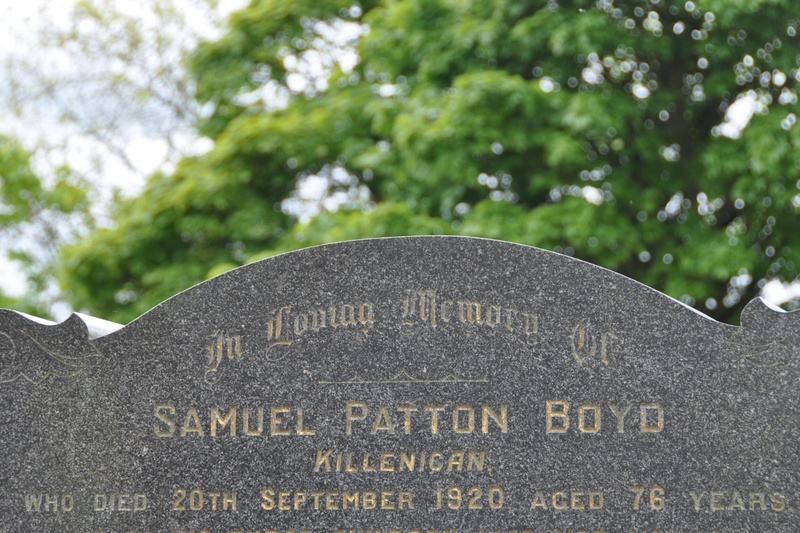 The local pronunciation of Killinakin emphasizes the second syllable; which is perhaps what you would guess from the spelling on this headstone for the Boyd family in Raffrey churchyard. Which other townlands border Killinakin? To the north, the Ganaway Burn is the border with Ballydorn. 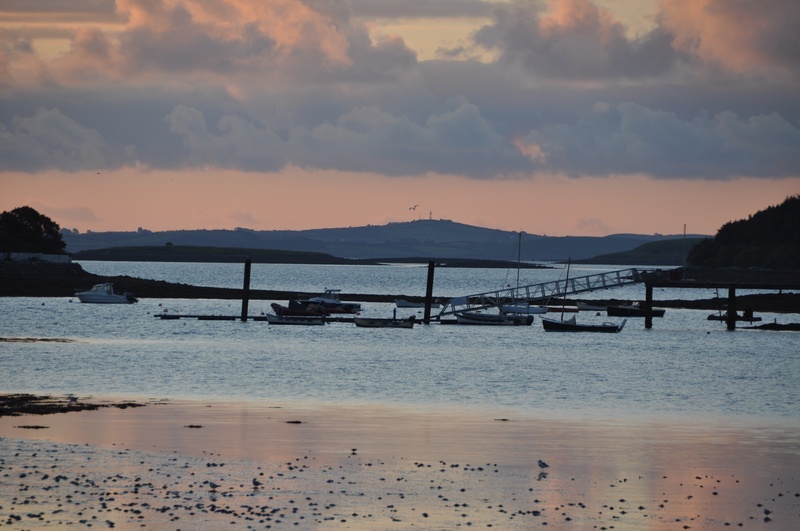 To the east, Strangford Lough. To the south, Ballymorran. To the west, Craigarusky and Killinchy. 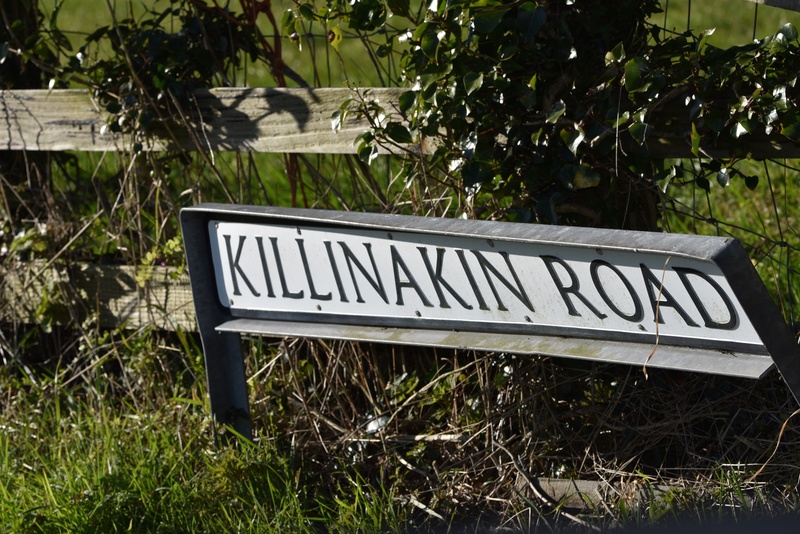 Finally, click here for the PLACENAMESNI website to read more about the history of the name Killinakin. Very picturesque. Do you often see seals on the beaches? No – I was excited to see these ones. My ambition this year is to get more photos like this. It takes some time to find the right spot.